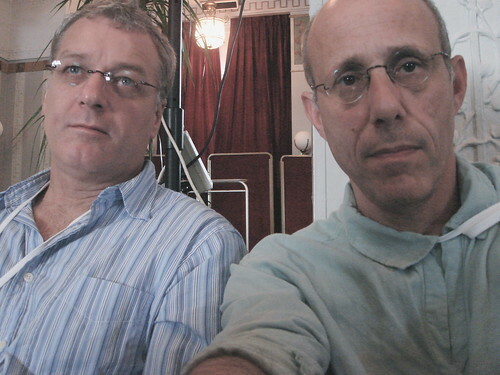 june 2006, international conference on high performance distributed computing. here you see the secret of citi’s success: andy and i can take anything they throw at us. Yay. Work Work work is done. Time Time time for fun! 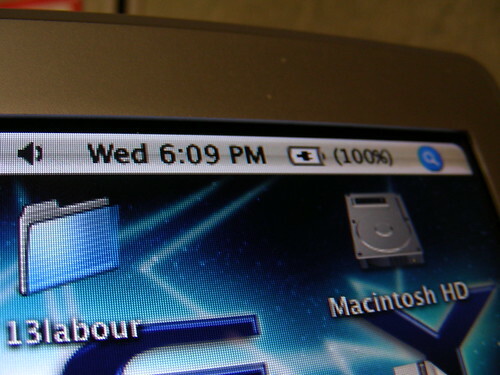 But before I pack up and head home, there’s one thing I have left to do…. GGO, creators of the Digital WarRoom platform for accessible, affordable e-discovery, today announced that e-discovery consultant, author and attorney Tom OConnor will meet with conference attendees at the 2012 EDiscovery Leadership Conference in Hollywood Florida on November 9th. 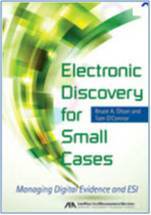 OConnor will have a limited number of complementary copies of the new book Electronic Discovery for Small Cases on hand. Conference attendees are encouraged to stop by the Digital WarRoom exhibit table to meet the author. We wrote the book specifically to address mid-size and smaller cases said Tom. For firms with limited technology budgets, or cases with small volumes of digital data, e-discovery can be challenging. Our goal in the book was to offer effective, budget-friendly solutions for collecting, viewing and analyzing electronic evidence that will benefit law firms and corporate legal teams as well. OConnor co-wrote the book with Bruce A. Olson, also a noted author, and president of ONLAW Trial Technologies, LLC, a legal technology consulting firm offering services in computer forensics, electronic trial and litigation support management and e-discovery. The Legal Learning Series is dedicated to providing higher continuing legal education programs and offering legal experts, consultants, service and technology providers the opportunity to educate the community. Led by Robert Friedman, the Legal Learning Series offers comprehensive half day seminars, full day conferences, lunch and learns, professional development courses to be hosted within law firms, legal networking opportunities, and training for litigation support, eDiscovery, forensic data recovery and trial presentation. The EDiscovery Leadership conference agenda includes practical sessions on e-discovery document review management, litigation team planning and pitfalls, Latin American e-discovery, and guidance in working under the new Florida state rules governing e-discovery. The event will be held at the Seminole Hard Rock Hotel & Casino in Hollywood, on November 9th. Digital WarRoom is the first e-discovery platform to provide law firms, corporate legal and e-discovery teams with complete ESI processing, document review and production in a single application, eliminating traditional high-cost volume-based processing fees, and streamlining ESI processing, filtering, and review into a single platform. The design of this all-in-one platform eliminates the risk inherent in moving data between disparate systems. The Digital WarRoom platform is unique in its ability to create and save case data in a portable form. A case database created on any Digital WarRoom product can move seamlessly to any other Digital WarRoom product, (desktop, server, or cloud) with all attorney work product preserved. This unmatched flexibility allows organizations to cost effectively handle an entire range of cases in-house, while retaining the option for full-service hosted review on larger, complex and global matters. The Digital WarRoom platform has been acclaimed by e-discovery experts, law firms, and corporate clients as impressive, seamless, and easy to use. An LTN product review compared the platform favorably with better-known but far more expensive solutions, saying DWR seems to have adopted the best two or three features offered by leading e-discovery software makers such as Clearwell and kCura Relativity and packaged them all together in one functional, integrated platform, which can operate on a desktop, or laptop, computer in a distributed computing environment that incorporates other computers, such as a back-end database server. To learn more about Digital WarRoom visit http://www.digitalwarroom.com. Fillperfect Form Filler – Never Fill Out An Application Again! Fillperfect Form Filler Is An Add-on For Internet Explorer Designed Specifically For Job Hunters. With Fillperfect Form Filler You Can Instantly And Accurately Complete All Types Of Forms. Now You Can Stop Filling Out Applications The Old Fashioned Way.